Description: Computers generate heat when electricity passes through the circuits, energy which gets wasted. At data processing centres, significant heat is produced and drastic cooling measures required, which can cost up to 80% of running costs. Rather than finding a way to cool these processors, the start-up Qarnot Computing puts them inside heaters. Qarnot’s device, called “Q-rad”, provides companies with remote access to the computing power of servers. In 2013, the company started installing Q.rads in public housing blocks, giving low-income households free heat. There are now over 350 such heaters in schools, homes, and businesses around Paris. This means a carbon footprint 4 times lower than that of a data center. The company is expecting € 1 million in revenue this year and is looking to access markets abroad. Can you summarize Q.rad in one sentence? 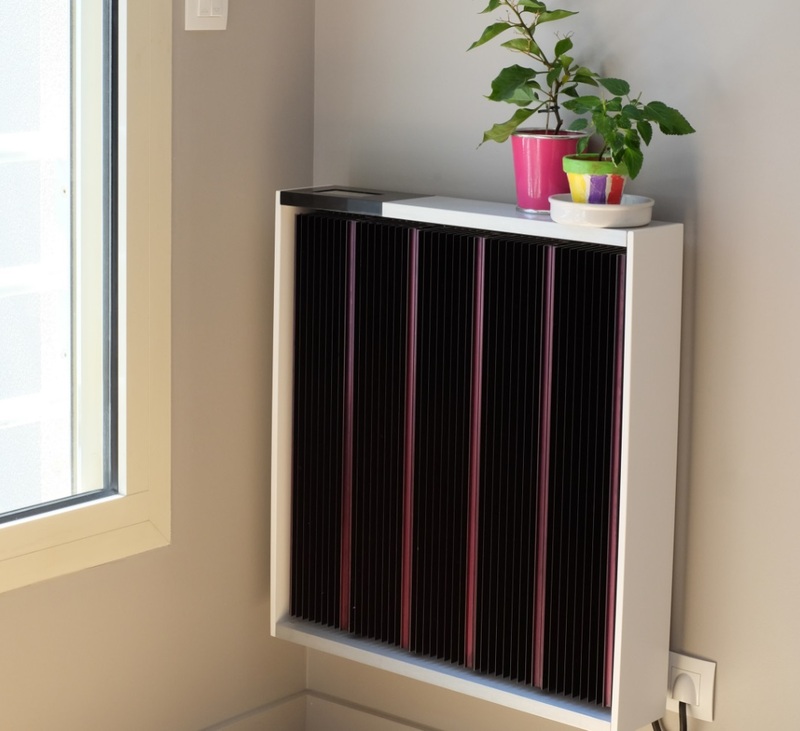 The Q.rad is the first radiator-computer that produces free and eco-friendly heat sourced from IT processors placed directly inside the radiator. Where did the idea for the Q.rad come from? 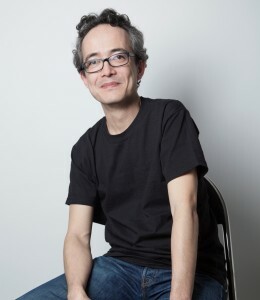 Around 10 years ago, Paul Benoît, co-founder of Qarnot Computing, was working at an R&D department that kept thousands of computers working day and night, to process complex calculations. Struck by the quantity of energy consumed in order to keep these “digital factories” or data centres running, as well as by the energy needed to cool them, he came up with the idea of a digital radiator, whose heat source is made up of processors. In 2010 he founded Qarnot Computing, to start producing the Q.rad. How do you see the future of Qarnot Computing? The new Q.rads can be used in every type of room and feature around twenty sensors – they are suitable for use in smart building infrastructure. With its Q.rad, Qarnot will be able to offer a unique Smart Home experience, that is both intuitive and scalable. The Q.rad already offers air quality monitoring, alerts, voice recognition and games services. Recognised by Jeremy Rifkin as precursor of the 3rd Industrial Revolution, Qarnot offers an innovative, alternative solution that meets both digital needs and the energy efficiency criteria of the future. For 2020, Qarnot hopes to heat several thousand buildings in Europe and around the world. 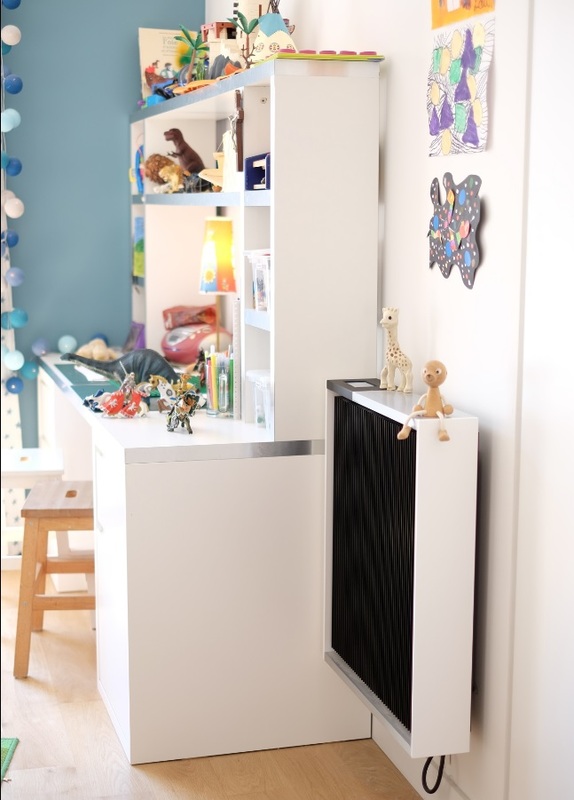 To heat an apartment or office by recycling the heat emitted by computers is the credo of the young company, Qarnot Computing, which was founded in 2010. 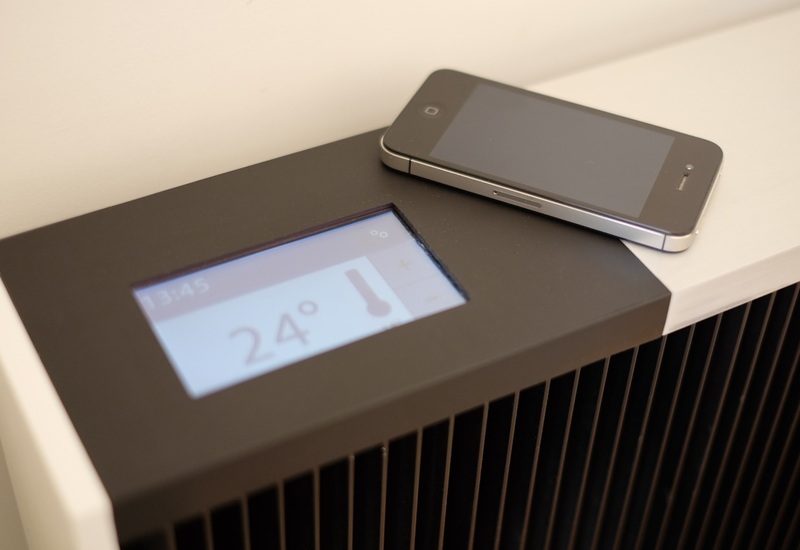 Based on the fact that computer servers heat up when they are in operation, its CEO and founder, Paul Benoît, had the idea of integrating Internet-enabled computers within conventional radiators, thus giving rise to a new concept: the « Q-rad », the world’s first digital radiator. It is a device that can make the processing power of its IT servers available remotely to businesses. « In exchange, the heating is free for the occupier of the premises, their consumption is refunded to them and they can adjust the temperature using a thermostat, » says the telecoms expert. This is an innovative model that allows the small start-up named Qarnot Computing – in homage to Sadi Carnot, the inventor of thermodynamics, the CEO is pleased to confess – to earn revenue in two different ways. Firstly, it commercialises this processing power, which is an attractive proposition for all high-consumption industries and, in particular, banks, animation studios, research centres and industry groups, such as Air Liquide. « The computation needs are enormous. And our solution is both economical – as it costs three times less than using a data centre – and environmentally friendly. It divides your carbon footprint by four, » notes Paul Benoît, while recognising the rising competition from Amazon, Google and IBM in this sector. Secondly, the company sells its digital radiators. With their advantage of providing free heating, the Q-rads are of interest to social landlords, bank branch networks, etc. They have won over the City of Paris public housing agency, which has chosen this unique system to equip its social housing in the 15th arrondissement. They also heat the Télécom ParisTech incubator. Qarnot Computing, which employs twenty-three members of staff in Montrouge, to the south of Paris, predicts a turnover of 1 million euros in 2015, compared to the 350,000 euros achieved in 2014. It is expected to break even in 2017. With approximately 2 million euros of funds raised from business angels in early 2014, its CEO is nevertheless ready to enter into a new dynamic to accelerate the development of the company. He is now looking to increase the value of his radiator with additional features. The goal? To position it within the integrated smart home market niche. « We can develop our radiators by installing sensors that will take measurements, such as the brightness or air quality of a room, or whether a person has had a fall, which may be useful to monitor the elderly. This has been of great interest to architects, » explains the fortysomething. At the Consumer Electronics Show (CES) in Las Vegas, the world’s largest electronics event, to be held next January, the young entrepreneur, who has established partnerships for fibre deployment with Orange and for research with HP, will present a more sophisticated version of his Q-rad. He also hopes to rapidly conquer the foreign market. To achieve this, however, he will have to go in search of new funding. Chauffer un appartement ou un bureau en recyclant la chaleur émise par des ordinateurs. C’est le credo de la jeune société Qarnot Computing, fondée en 2010. Partant du constat que les serveurs informatiques chauffent lorsqu’ils travaillent, son PDG et fondateur, Paul Benoît, a eu l’idée d’intégrer des ordinateurs connectés à Internet à l’intérieur de radiateurs classiques, donnant ainsi naissance à un concept inédit : le « Q-rad », le premier radiateur numérique dans le monde. A savoir un appareil qui peut mettre à distance la puissance de calcul de ses serveurs informatiques à la disposition des entreprises. « En échange, le chauffage est gratuit pour l’occupant des lieux, sa consommation lui étant remboursée et il peut moduler la température grâce à un thermostat », précise cet X-Télécom. Un modèle innovant qui permet à la petite start-up baptisée Qarnot Computing – en hommage à Sadi Carnot, l’inventeur de la thermodynamique, se plaît-il à rappeler – de jouer sur deux tableaux pour engranger des revenus. D’un côté, elle commercialise cette capacité de calculs, séduisant tous les secteurs qui en font une consommation intensive. En particulier les banques, les studios d’animation, les centres de recherche ainsi que des groupes industriels à l’image d’Air Liquide. « Les besoins en calculs sont gigantesques. Et notre solution est à la fois économique – puisqu’elle coûte trois fois moins chère que le recours à un data center – et écologique. Elle divise par quatre l’empreinte carbone», relève Paul Benoît, tout en reconnaissant subir sur ce créneau la concurrence des Amazon, Google et IBM. De l’autre côté, la société vend ses radiateurs numériques. Doté de cet avantage de rendre le chauffage gratuit, les Q.rad intéressent les bailleurs sociaux, les réseaux d’agences bancaires etc. Ils ont séduit la régie immobilière de la Ville de Paris qui a choisi ce système original pour équiper des logements sociaux dans le 15ème arrondissement parisien. Ils chauffent aussi les locaux de l’incubateur de Télécom Paristech. En 2015, Qarnot Computing qui emploie vingt-trois salariés à Montrouge au Sud de Paris vise 1 million d’euros de chiffre d’affaires, après les 350.000 euros réalisés un an plus tôt. L’équilibre financier lui est attendu « à horizon 2017 ». Armé de la levée de fonds de 2 millions d’euros réalisée début 2014 auprès de business angels, son PDG est néanmoins prêt à entrer dans une nouvelle dynamique pour accélérer le développement de la société. Il cherche aujourd’hui à augmenter la valeur de son radiateur en ajoutant des fonctionnalités. L’objectif ? Se positionner sur le créneau porteur de la maison intelligente intégrée. « On peut faire évoluer nos radiateurs en installant des capteurs qui permettront par exemple de mesurer la luminosité ou la qualité de l’air d’une pièce, ou encore de savoir si une personne a fait une chute, ce qui peut s’avérer utile pour suivre les gens âgés. Cela intéresse beaucoup les architectes », explique ce quadra. Au Consumer Electronic Show (CES) de Las Vegas, le grand rendez-vous mondial de l’électronique, en janvier prochain, le jeune entrepreneur qui a noué des partenariats à la fois avec Orange pour le déploiement de la fibre et avec HP dans la recherche présentera une version plus sophistiquée de son Q-rad. Il espère par ailleurs rapidement partir à la conquête de l’étranger. Pour cela, il devra toutefois aller à la recherche de nouveaux financements.